Surrounded by beautiful old fashioned villas and famous hotels you find this lovely holiday apartment in Juan les Pins on the French Riviera (Côte d’Azur). The apartment has modern. Surrounded by beautiful old fashioned villas and famous hotels you find this lovely holiday apartment in Juan les Pins on the French Riviera (Côte d’Azur). The apartment has modern, comfortable interior and, from the balcony, you can enjoy a partial sea view beyond the vegetation of the botanical park. A pedestrian access takes you directly to the beaches and from there, a footpath allows you to go around the Cape through the cliffs overlooking the bay of "billionaires" - one of the most beautiful in the region. 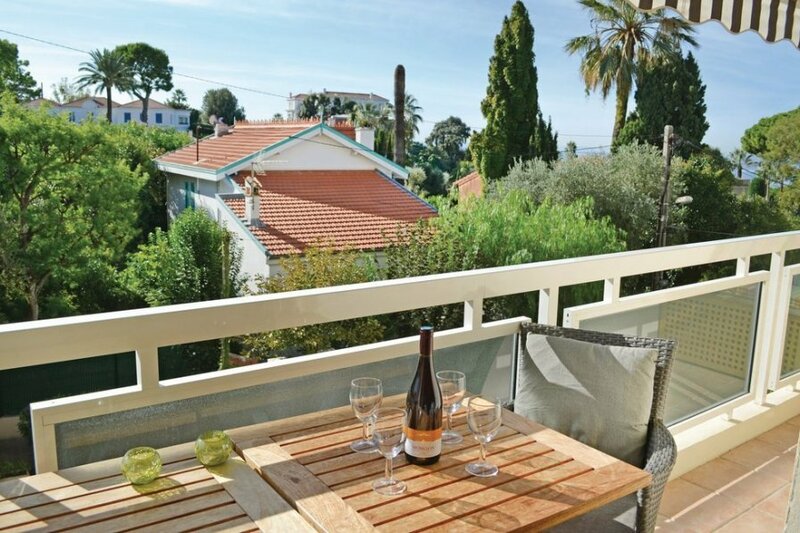 With its location near the sea and between the popular cities of Cannes and Nice, this holiday apartment in Juan les Pins offers a great base for a holiday on the French Riviera. Enjoy the long sandy beaches, restaurants, and walks along the sea. 10 km of beaches separate you from the Croisette in Cannes and you will find Nice only 28 km away.This holiday home is a quiet place yet you are in the center of Juan les Pins. During the summer months, Juan les Pins is a very popular holiday destination, partly because of the closeness to Antibes which is located approximately 2,5 km east of the holiday apartment. In the south, you have the peninsula Cap d'Antibes, famous for its beautiful villas with great gardens. To the holiday home, there is parking spaces available but you will not necessarily need a car to explore Côte d’Azur as the train station is only 1 km away. From here you can take the train to f.ex. Nice, Saint Tropez and Cannes. There is also a bus going to the train station from the Nice Côte d’Azur Airport. This solidly constructed apartment was originally built in 1970 and refurbished in 2012. The agent has rated it as a three star property so it is a well-kept apartment, equipped with standard furniture. It is also good value for money. This apartment has sea view and is located in Juan Les Pins-Gallice, only 10km from Cannes. It is set in a very convenient location, just 700 metres away from a rock bound coast and 350 metres from a sandy beach. There's also a restaurant only 500 metres away. You can also park on-site at no extra charge. 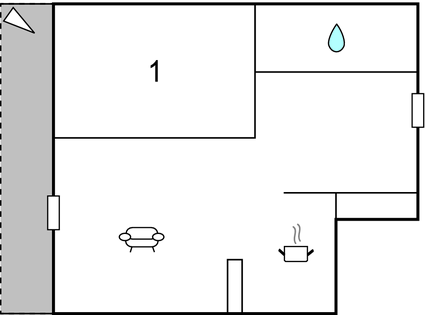 The apartment is well equipped: it has a refrigerator, washing machine and dishwasher. It also has some garden furniture outside.